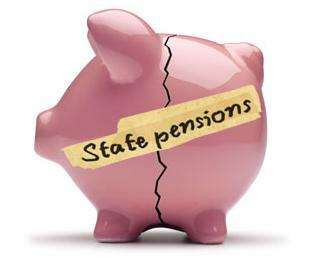 State Pension Funds: Overhaul or Underfund? Many governments, both foreign and domestic, are struggling with balancing their operating budgets. Because of this struggle, leadership has or will have to make budget cuts to certain programs. These decisions are not easy, as one or several programs will see a reduction in their budgets in order to fund other programs. One such program discussed on the national level is state pension programs/funds. There have been news stories outlining how several states are making the difficult decisions surrounding their pension programs for government employees. Recently, this has become a contentious issue. With an increasing number of government employees retiring, they are looking to collect their pensions to which they contributed for so many years. States are scrambling to provide these benefits to their retirees. According to Bernhard Ebbinghaus, Mitchell Orenstein and Noel Whiteside in a 2012 Global Social Policy article titled “Governing pension fund capitalism in times of uncertainty,” the crisis of 2008 and its aftermath have demonstrated that commonly held distinctions between state and private pension provision have broken down. In some countries, governments extended help to safeguard private schemes. In others, governments have raided pension funds to shore up public account balances. Many government employees contribute to a 401(k), 457 (k) or similar retirement account. Often, their employer matches a certain percentage into this retirement account. Professional investment companies, such as Prudential, Charles Schwab or other private firms that handle investments and retirement accounts on behalf of the government, usually manage these retirement accounts. Rachel Barkley, in a 2012 Morningstar Credit Research article, discussed the pension funding levels of all 50 states and the territory of Puerto Rico. The five states with the highest pension funded levels are Wisconsin (99.9 percent), Washington (98.1 percent), North Carolina (93.9 percent), South Dakota (92.6 percent) and Tennessee (92.1 percent). The five states with the lowest pension funded levels are Illinois (40.4 percent), Kentucky (46.8 percent), Connecticut (49.1 percent), Louisiana (55.5 percent) and New Hampshire (56.2 percent). The median pension funded level was Vermont at 68.4 percent, which was in the poor range for this report. What are the reasons for the significant difference in funding levels for the highest-funded and lowest-funded states? What are the top states doing differently and can they explain why the funding levels are different? Do these funding levels affect the local economies in these states? What about the national economy? Legislators, budget writers, accounting technicians and other key stakeholders in the pension funding process must be scrupulous in their research when deciding between overhauling and underfunding their state’s pension programs. There could be consequences for either decision. Should the decision be based on the potential impact to current benefactors or to future recipients? This is an important question for leadership as they discuss how to address the pension-funding crisis. If the decision to overhaul were made, how would this come to fruition? Would it encompass more privatization or would it be a stronger public/private partnership? Would it require employees to contribute more into the system to support their retirements and force them to manage their investments directly instead of private investment firms? If the decision is to underfund the pension system, what are the potential consequences? How does the government proceed and for what period does the system go underfunded? Will there be a contingency plan in place should more funding be needed, especially if there is a significant increase in retirees within a short period? This is not an easy decision. Leadership must decide how to fund all government programs and pay their employees. But they must also provide benefits and payments from a pension system that was promised to retired employees when they first began working. Barkley illustrated this point when she ranked all 50 states on their ability to fund their pension systems. We can discern that some states are much better off than others. So how can all states be at 99.9 percent like Wisconsin? Author: Jeffrey R. Zimmerman, Ph.D., received his degree in public policy and administration from Walden University. He currently serves as the director of processing services within the North Carolina Division of Motor Vehicles. Zimmerman can be reached via email at [email protected].